This is not usually a good time of the year for the stock market – the weak month of May is followed by the even weaker month of June. 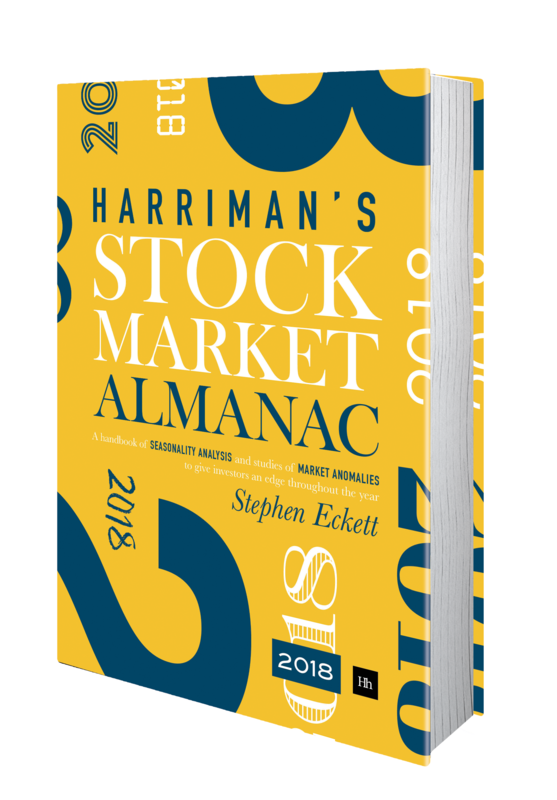 In recent years, on average, the market has fallen 0.8% in June; and the probability of a positive return in the month is a lowly 40%. 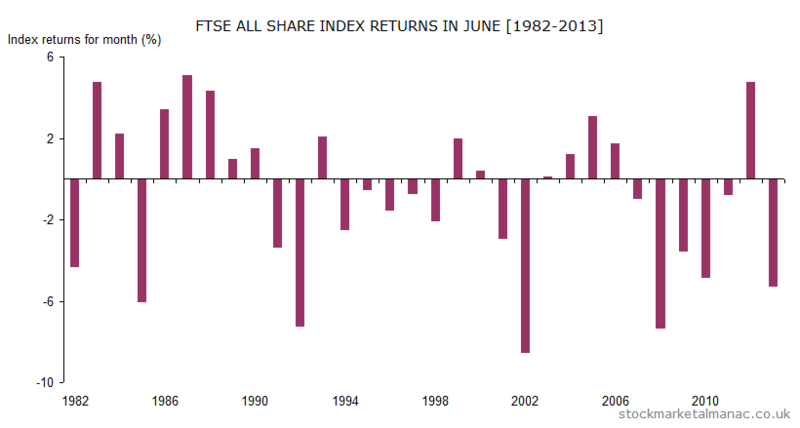 This makes June the second weakest month of the year for shares. The market has only risen one June in the past seven years. And the market falls in June can be quite large – as can be seen in the accompanying chart; the market has fallen over 3% in June eight times since 1982. Bucking the trend in June though has been Halma and Synergy Health; the two strongest FTSE 350 stocks over the last ten years in this month. In fact, Synergy Health has had positive returns for June every year for the past ten. By contrast, the two weakest stocks have been Barclays and Vesuvius (formerly Cookson Group), both of which have fallen in June in nine of the past ten years. This is quite a busy month on the economics front: there is the MPC interest rate announcement on the 5th, the US Nonfarm payroll report on the 6th, and the two-day FOMC meeting starts on the 17th. Triple Witching is on the 20th. Finally, note that the FTSE 100 quarterly index review announcement will be made on the 4th. Previously, these announcements were made the Wednesday after the first Friday of the month, but from March 2014 it became the Wednesday before the first Friday in the month. The implementation date for the changes hasn’t changed, it is still the third Friday of the month.